CDK4 inhibitor is a selective inhibitor of cyclin-dependent kinase 4 with IC50 value of 10 nM . Cyclin-dependent kinase 4 (CDK4) is a Ser/Thr protein kinase and is a member of the cyclin-dependent kinase family. CDK4 plays an important role in the G1-S phase. 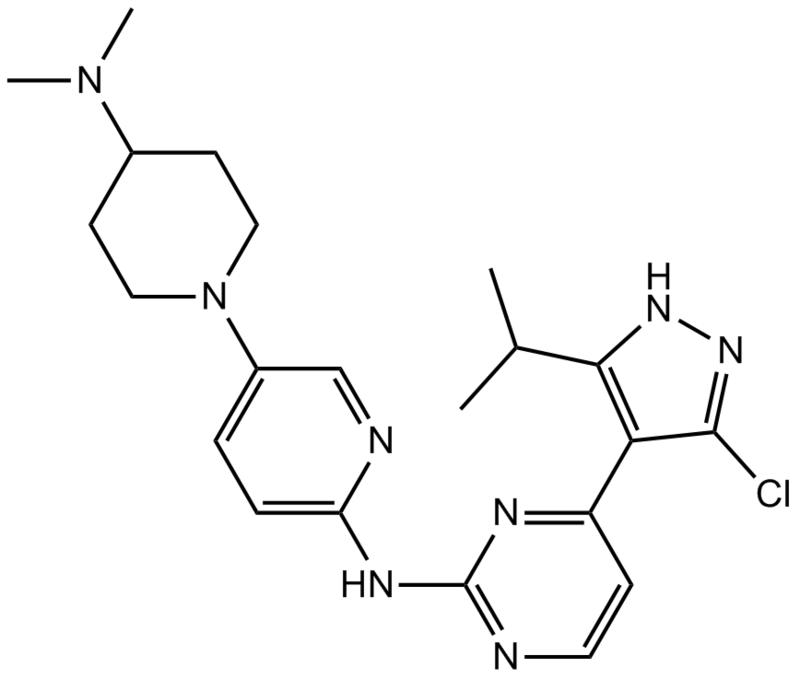 CDK4 inhibitor is a selective cyclin-dependent kinase 4 inhibitor. CDK4 inhibitor inhibited CDK4/Cyclin D1, CDK1/Cyclin B and CDK2/Cyclin A with IC50 values of 10 nM, 15 μM and 5.265 μM, respectively. Also, it inhibited protein kinase A (PKA) and glycogen synthase kinase (GSK3β) with IC50 values of 6.8 and 9.6 μM, respectively. 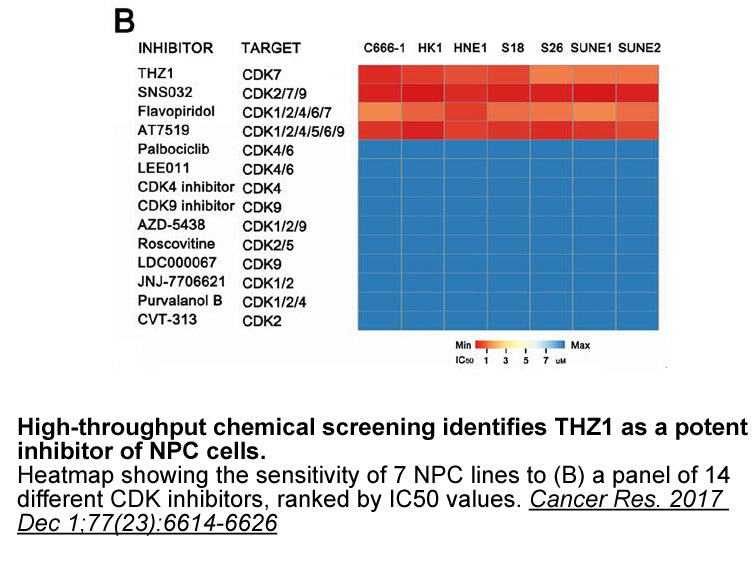 In a mantle-cell lymphoma cell line Jeko-1, CDK4 inhibitor inhibited the phosphorylation level of pRb at the Ser780 site with IC50 value of 0.324 μM. Also, CDK4 inhibitor (0.37 μM) showed G1 block on cells .
. Cho YS, Borland M, Brain C, et al. 4-(Pyrazol-4-yl)-pyrimidines as selective inhibitors of cyclin-dependent kinase 4/6. J Med Chem, 2010, 53(22): 7938-7957.